SSC CGL PATTERN :- Staff Selection Commission has released Notification for CGL 2016. Tier 1 Exam will be organized in August, 2016. As Expected SSC has not made any change in Syllabus. But Interview component has been dispensed with. There will, therefore, be no interview. New Post of Assistant Audit Officer (Gazetted) has been introduced in CGL 2016. NOTE : The Commission reserves the right to make changes in the scheme of examination such as conduct of Tier-I and Tier-II examination in computer based mode, treating Tier-I examination as only qualifying etc. General Intelligence & Reasoning : It would include questions of both verbal and non-verbal type. This component may include questions on analogies, similarities and differences, space visualization, spatial orientation, problem solving, analysis, judgement, decision making, visual memory, discrimination, observation, relationship concepts, arithmetical reasoning and figurative classification, arithmetic number series, non-verbal series. Quantitative Aptitude: The questions will be designed to test the ability of appropriate use of numbers and number sense of the candidate. 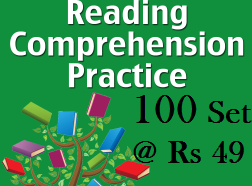 The scope of the test will be computation of whole numbers, decimals fractions and relationships between numbers, Percentage, Ratio & Proportion, Square roots, Averages, Interest, Profit and Loss, Discount, Partnership Business, Mixture and Allegation, Time and distance, Time & Work, Basic algebraic identities of School. English Comprehension: Candidates’ ability to understand correct English, his basic comprehension and writing ability, etc. would be tested. Questions will be based on will be based onspot the error, fill in the blanks, synonyms, antonyms, spelling/detecting mis-spelt words, idioms & phrases, one word substitution, improvement of sentences. NOTE:- Paper-I & II are compulsory for all the categories of posts. Paper-III is only for those candidates who apply for the post of Statistical Investigator Gr.II & Compiler & Paper IV is only for Assistant Audit Officer..
Sampling Theory – Concept of population and sample; Parameter and statistic, Sampling and non-sampling errors; Probability and non-probability sampling techniques(simple randomsampling, stratified sampling, multistage sampling, multiphase sampling, cluster sampling, systematic sampling, purposive sampling, convenience sampling and quota sampling); Sampling distribution(statement only); Sample size decisions. Paper IV : General Studies (Finance and Economics) for the post of Assistant Audit Officer in Indian Audit & Accounts Department under CAG. 1. Fundamental principles and basic concept of Accounting. Financial Accounting: Nature and scope, Limitations of Financial Accounting, Basic concepts and Conventions, Generally Accepted Accounting Principles. 3. Finance Commission-Role and functions. 4. Basic Concept of Economics and introduction to Micro Economics Definition, scope and nature of Economics, Methods of economic study and Central problems of an economy and Production possibilities curve. 5. Theory of Demand and Supply Meaning and determinants of demand, Law of demand and Elasticity of demand, Price, income and cross elasticity; Theory of consumer’s behaviour-Marshallian approach and Indifference curve approach, Meaning and determinants of supply, Law of supply and Elasticity of Supply. 6. Theory of Production and cost Meaning and Factors of production; Laws of production- Law of variable proportions 22 and Laws of returns to scale. 7. Forms of Market and price determination in different markets Various forms of markets-Perfect Competition, Monopoly, Monopolistic Competition and Oligopoly ad Price determination in these markets. 9. Economic Reforms in India Economic reforms sice 1991; Liberalisation, Privatisation, Globalisation and Disinvestment. 10. Money and Banking Monetary/ Fiscal policy- Role and functions of Reserve Bank of India; functions of commercial Banks/RRB/Payment Banks Budget and Fiscal deficits and Balance of payments Fiscal Responsibility and Budget Management Act, 2003. 11. Role of Information Technology in Governance.